Let’s go to beach, a famous korean drama act by Lee Wan, Jun Jin and Lee Chong Ah. Is series focus on the lives of hotel’s lifesavers. The story are base on the love between an illegitimate son, Jang Tae Pung (Lee Wan) and his half brother (different mothers), Jang Tae Hyun (Jun Jin) and the grand daughter of hotel owners, Yoon So Rah (Lee Chong Ah). 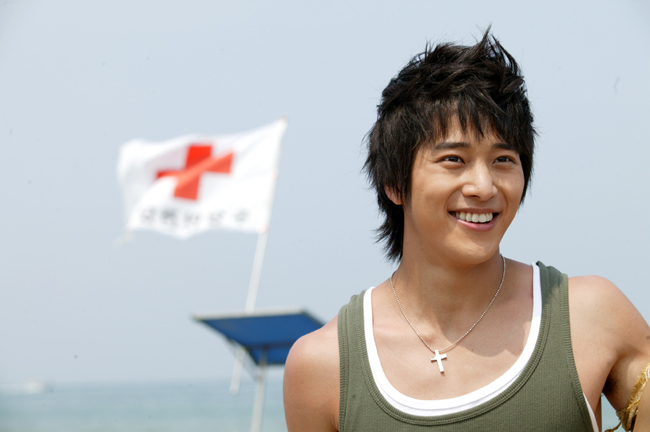 Lee Wan – I like him!! This entry was posted on Friday, December 22nd, 2006 at 10:23 pm	and is filed under Movie Trailer. You can leave a response, or trackback from your own site.